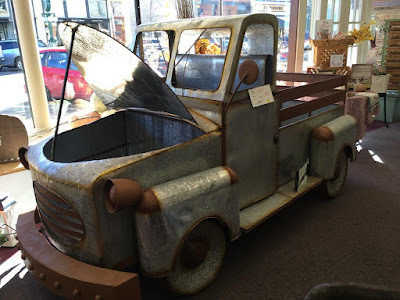 This truck is one of the cutest display items I've seen. I can envision seasonal items in the truck bed and in the motor area throughout the year. 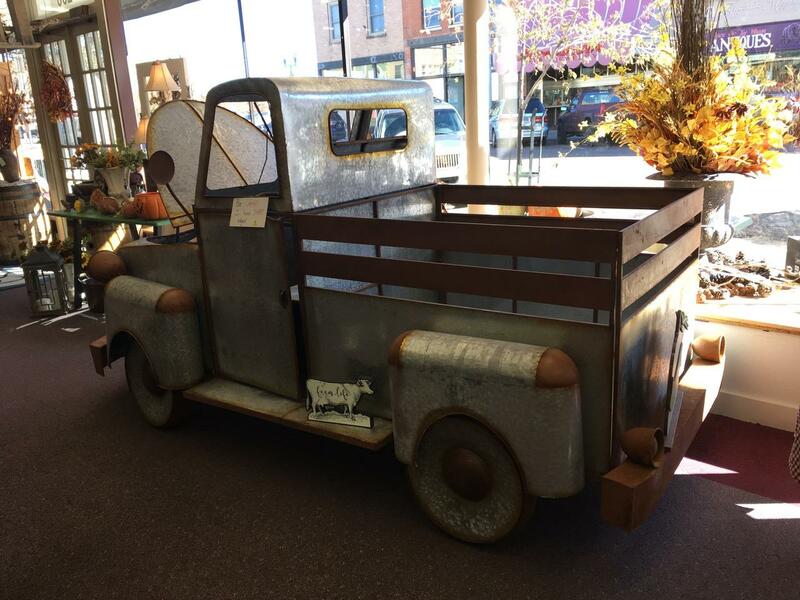 Wouldn't it be fun with a tree in the back and lots of other Christmas decorations or the motor section filled with daffodils in the spring and geraniums in the summer? It's too bad the window ledge wasn't deep enough to hold the truck because it would draw a crowd. Surfboards in the back in the summer and a load of pumpkins for October! Wow - fabulous display idea. That is so adorable!!!! What a cute little truck. I think I would hire a carpenter so it WOULD fit in the window!!! A really neat display and you have a great imagination for them to use it right! That truck would also make fabulous decor. gah - fabulous GARDEN decor! That's what I get for typing too fast! Fun truck! 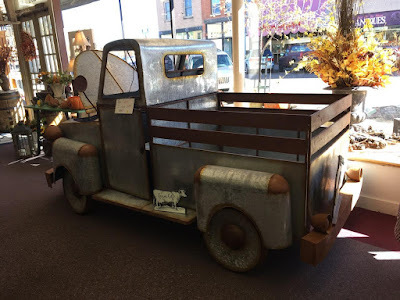 A place we like to eat has a smaller truck on display; both remind me of long ago fun. It's a wonderful display and I Like how you think! Like Riding a Bike . . .